Well, it would seem the wheels have definitely come off the Climate Change sceptic-denier trolley bus, and the passengers are raving, and metaphorically drowning in their own pus-riddled intellectual bile, judging by the spluttered, splattered comments I am receiving on this web log. 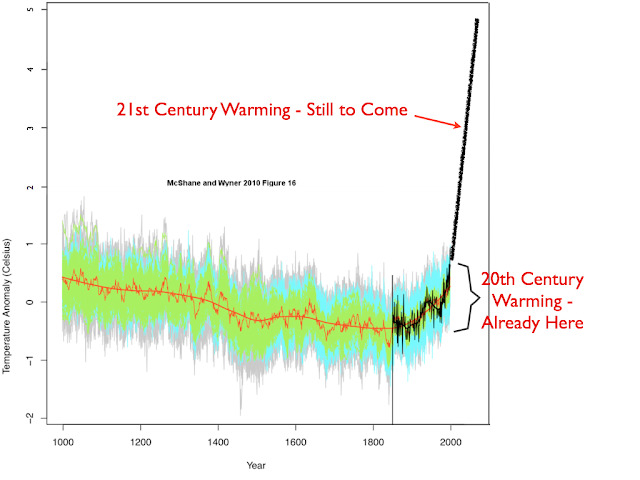 This paper confirmed the previous “Hockey Stick” analysis. The strongest ever professional criticism so far levelled at Michael Mann, a climatologist at Pennsylvania State University, has emerged this week.